Early bird deadline for the Urbanism Next 2018 Conference extended! Have you heard? The early bird deadline for the Urbanism Next 2018 Conference has been extended to Friday, February 9! How we can leverage technology to create the best future for all? 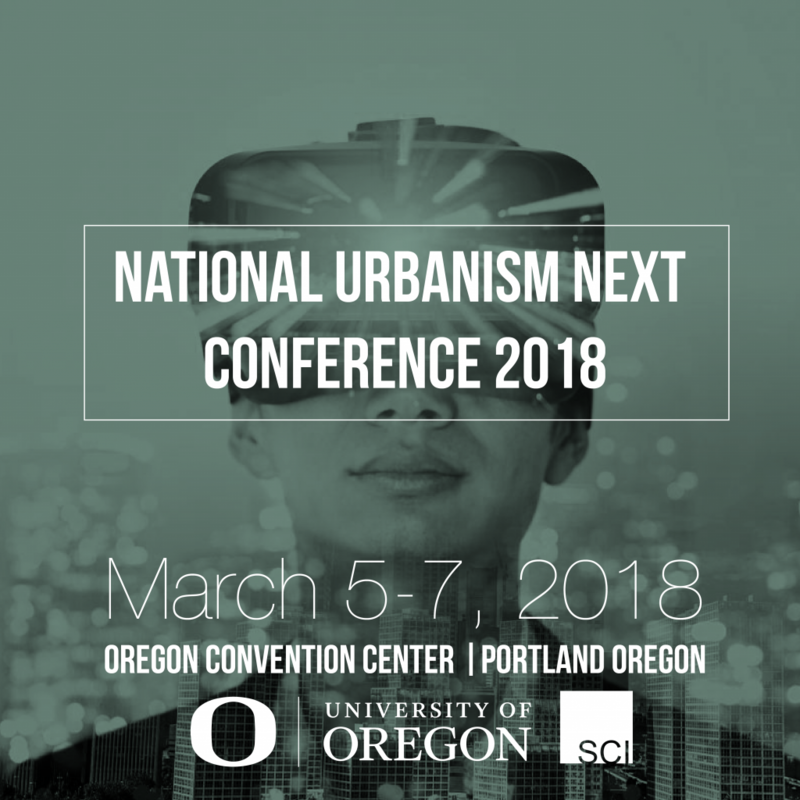 Be part of the conversation March 5-7 at the Urbanism Next 2018 Conference in Portland. Engage with architects, planners, landscape architects, developers, academics, and others. We will explore the secondary impacts of emerging technologies—autonomous vehicles, the sharing economy, and e-commerce—on real estate, land use, urban design and transportation. Please visit the conference site to complete your registration and find additional details about speakers, schedule, and accommodations. Special rates are available for members of the AIA, APA, ASLA, ULI and academics. Conference organizers are applying for continuing education credits for the American Institute of Architects (LU/HSWs) and the American Institute of Certified Planners (CMs). ASLA members are eligible to self-report hours per the requirements of their state licensure boards.